Works are due to complete next month on the new One Point office building at Bridgehead Business Park in Hessle, following planning achieved in March 2015 and start on site in March this year. 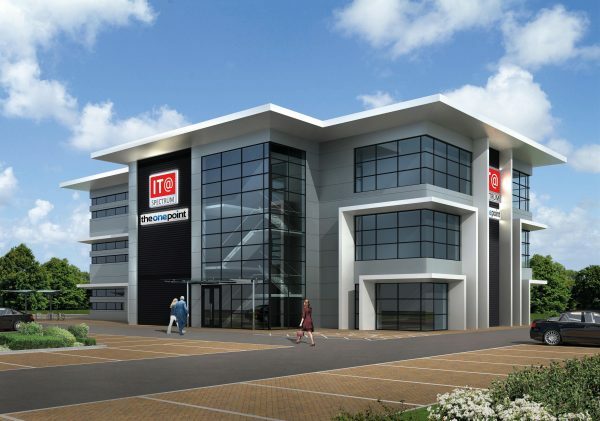 With working drawings provided by The Harris Partnership for PDR Construction, the £2m 10,000 sq ft, three-storey building will finally be owned by IT technology business, IT@Specturm who purchased the land from park owner, Wykeland Developments. Bridgehead is a new generation business park occupying 50 acres on the western edge of Kingston upon Hull where it is setting new standards for commercial space.